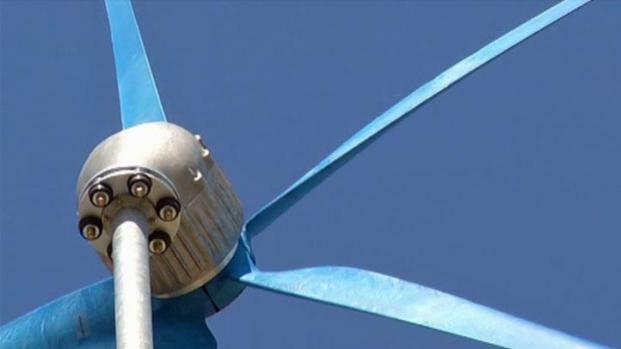 Texas faces a growing shortage of skilled workers in the wind energy industry. But Eastfield College is hoping to change that with new funding from the Texas Comptroller’s office. Eastfield student Frank Bennett said he hopes what he’s learning in his renewable energy class will help him get a job. The Texas Comptroller’s office awarded the college nearly $150,000 in grant money to help fund training for students heading into a growing wind energy industry. Eastfield College in Mesquite won a nearly $150,000 grant from the state comptroller's office to provide hands on training for students heading into the growing wind energy industry. The residential wind energy program at Eastfield College teaches students how to install and run wind turbines that ordinary people can put in their own back yards. It’s a wide open calling according to some students. The grant also paid for a 50 foot wind turbine on campus, which generates up to 3.5 kilowatts of energy for the campus. The residential wind energy program has grown from about eight students to 32 since it started two years ago.